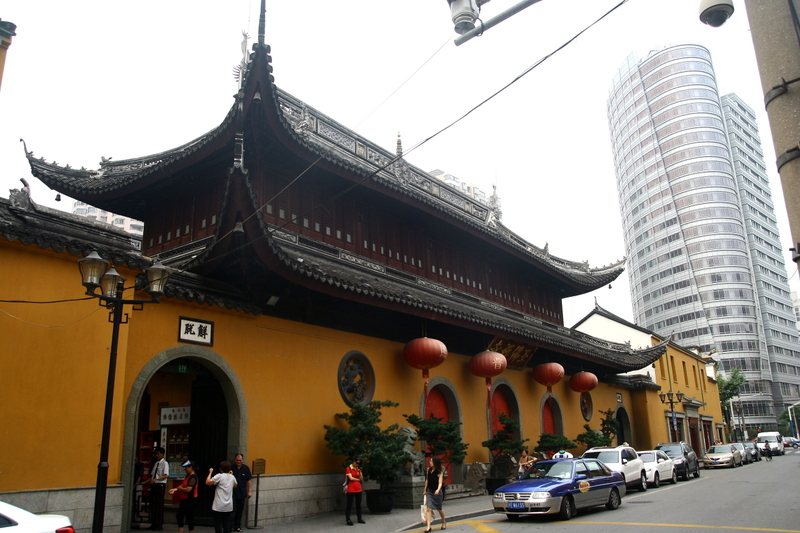 Jade Buddha Temple, a sacred 19th-century structure built during the Qing Dynasty. 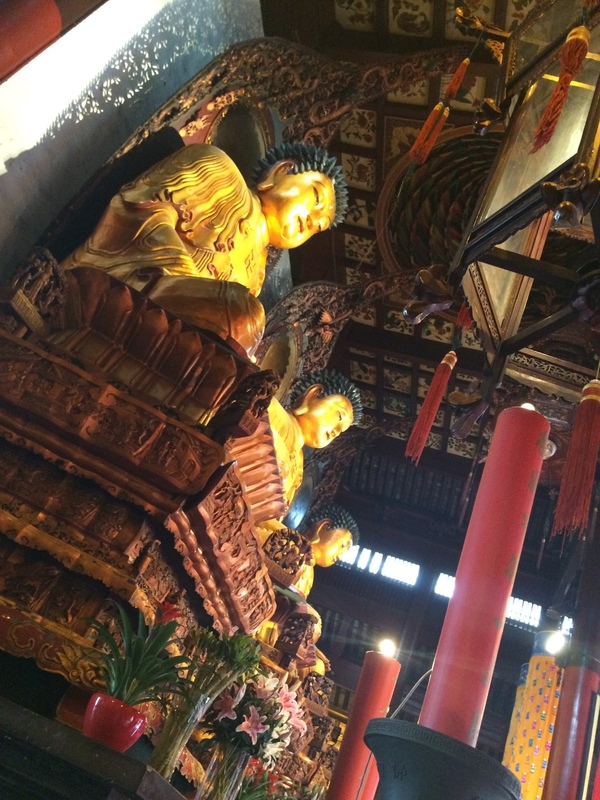 Marvel at the majestic architecture of the temple, giving off a atmosphere of tranquility, even though locating the busy city. 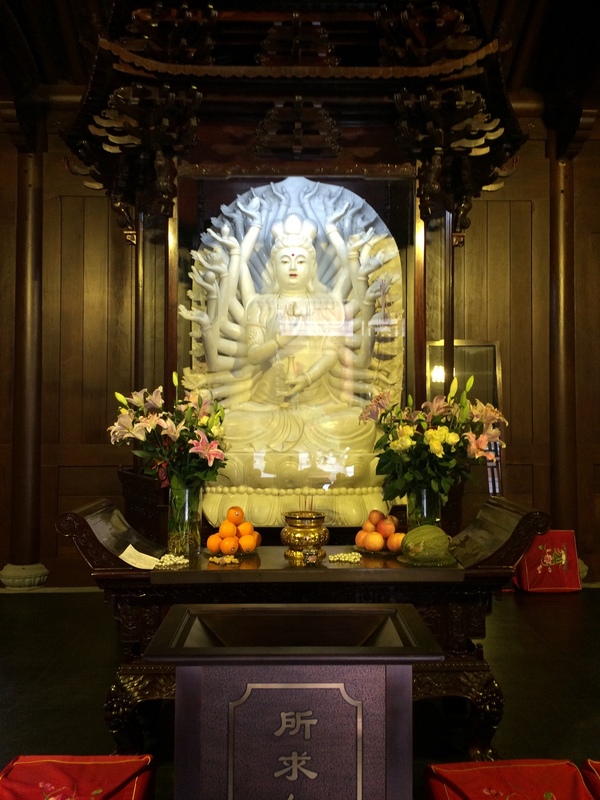 The Jade Buddha Temple in Shanghai was founded in 1882 with two jade Buddha statues imported to Shanghai from Burma by sea. 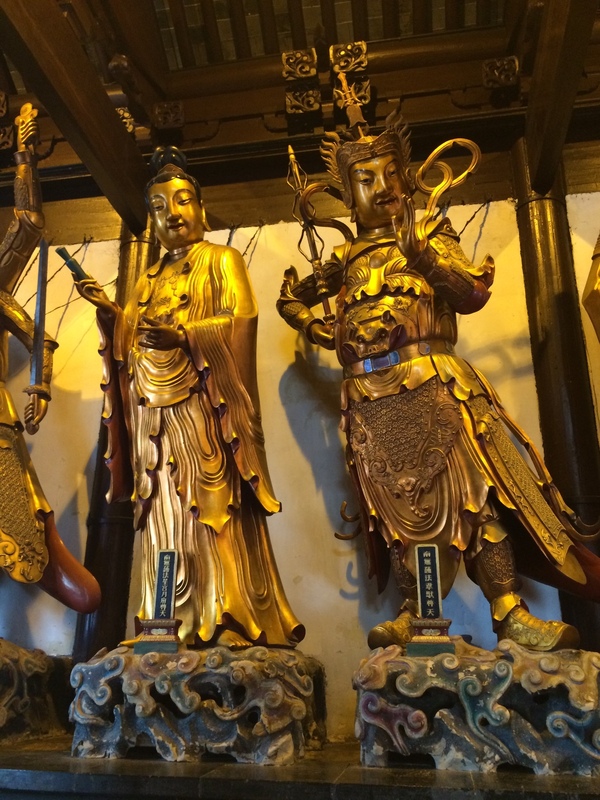 These were a sitting Buddha and a smaller reclining Buddha representing Buddha’s death. 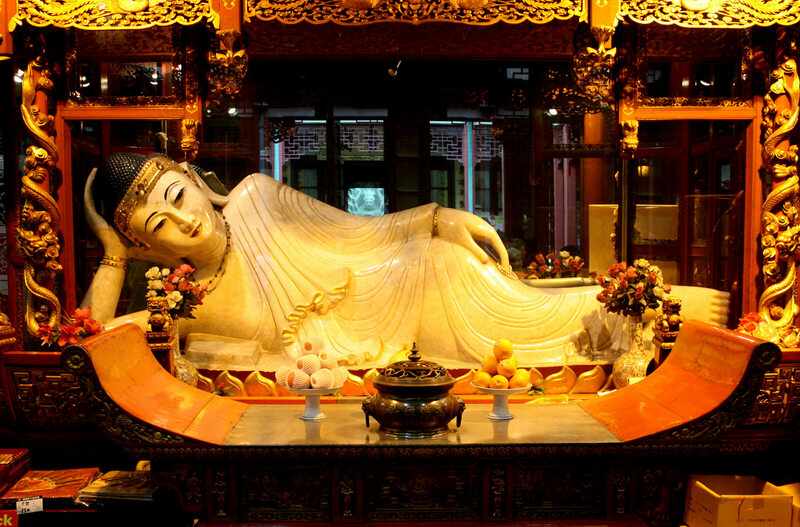 The temple now also contains a much larger reclining Buddha made of marble, donated from Singapore, and visitors may mistake this larger sculpture for the original, smaller piece. 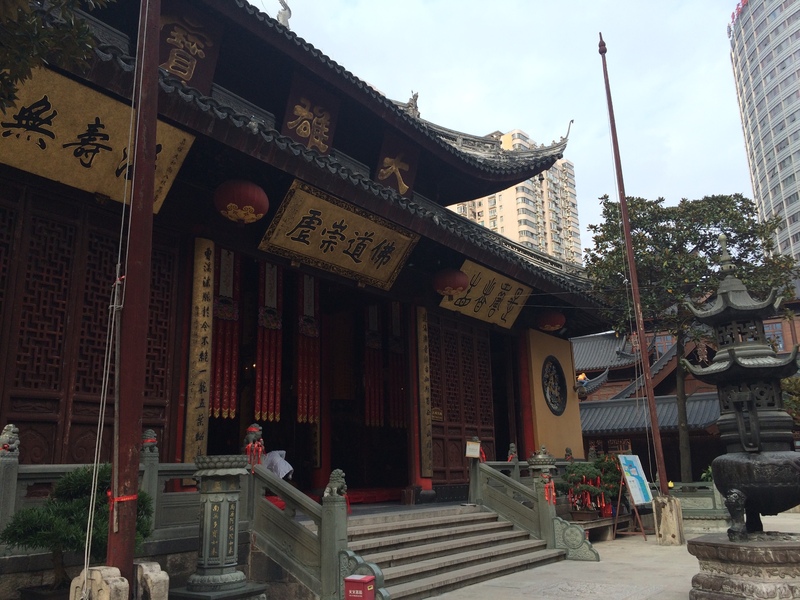 The temple was destroyed during the revolution that overthrew the Qing Dynasty. 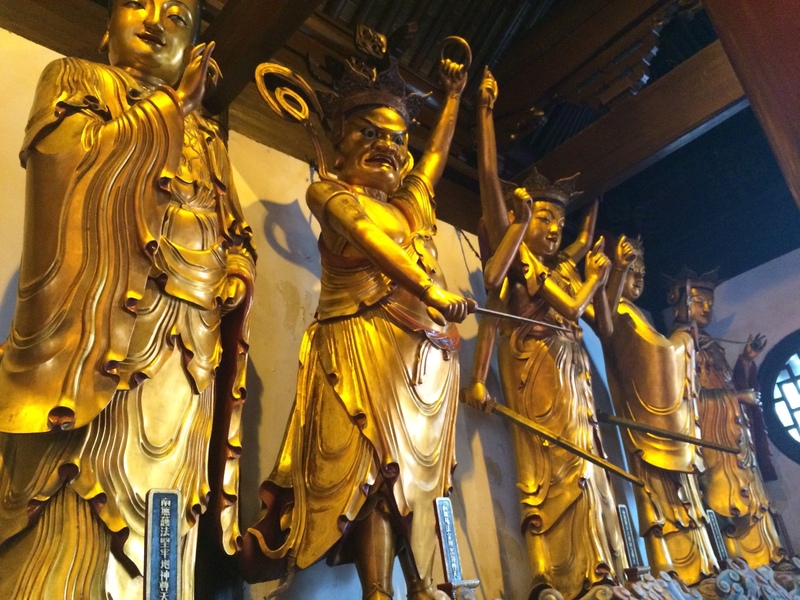 Fortunately the statues were saved and a new temple was built on the present site in 1928. 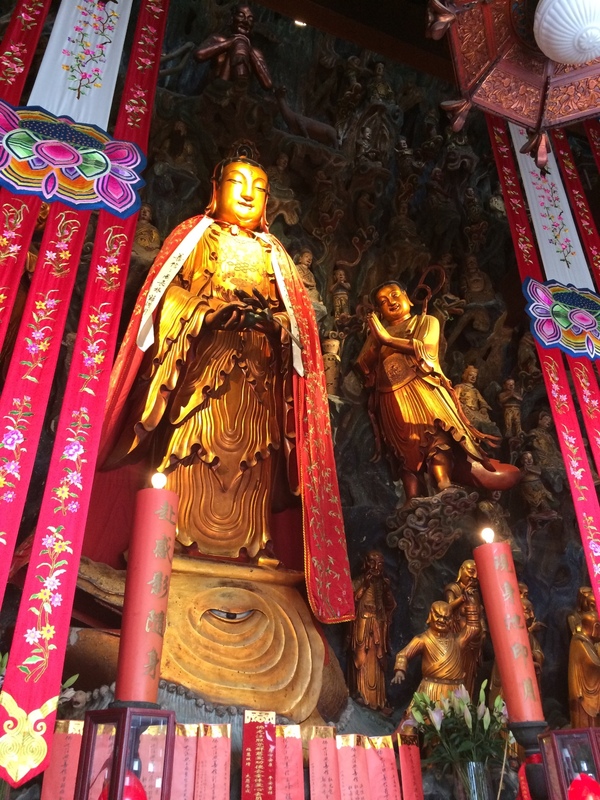 It was named the Jade Buddha Temple. 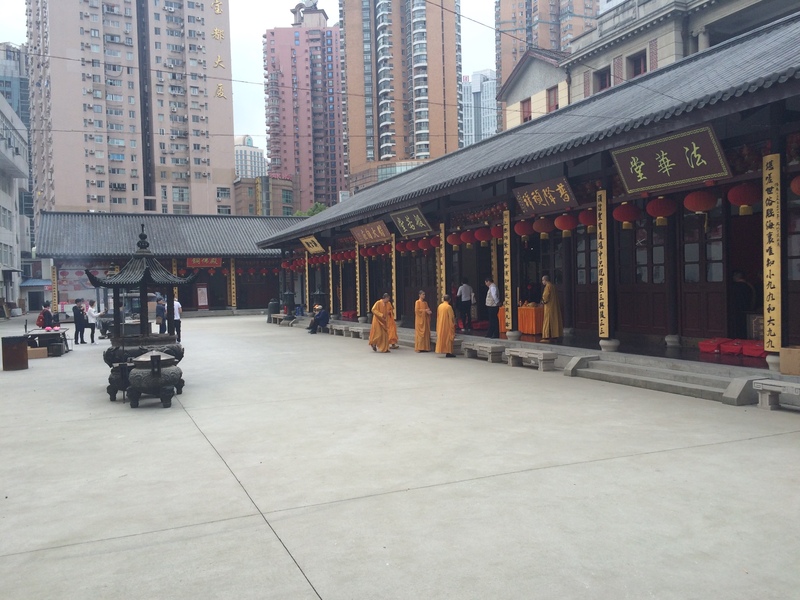 Jade Buddha Temple is an active temple, with 70-100 resident monks.